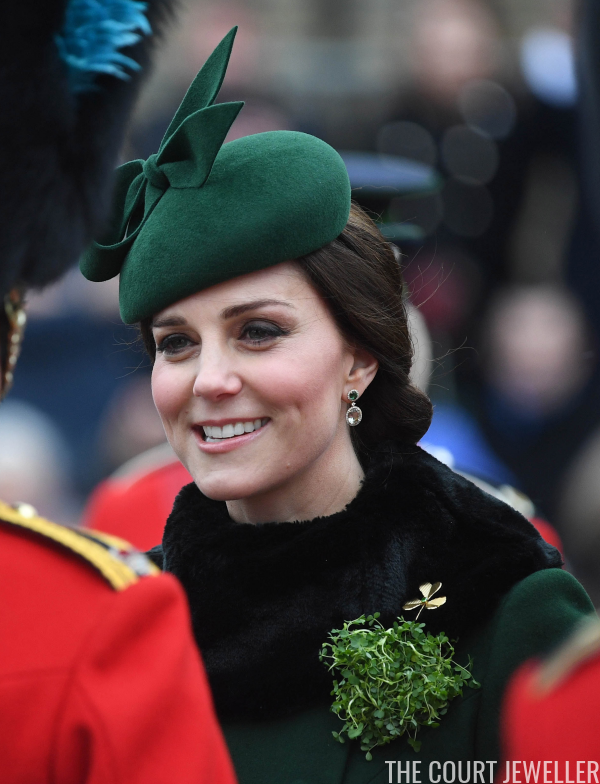 The Duke and Duchess of Cambridge made their annual St. Patrick's Day visit to the Irish Guards on Saturday, and Kate wore jewels very appropriate for the holiday to hand out shamrocks. 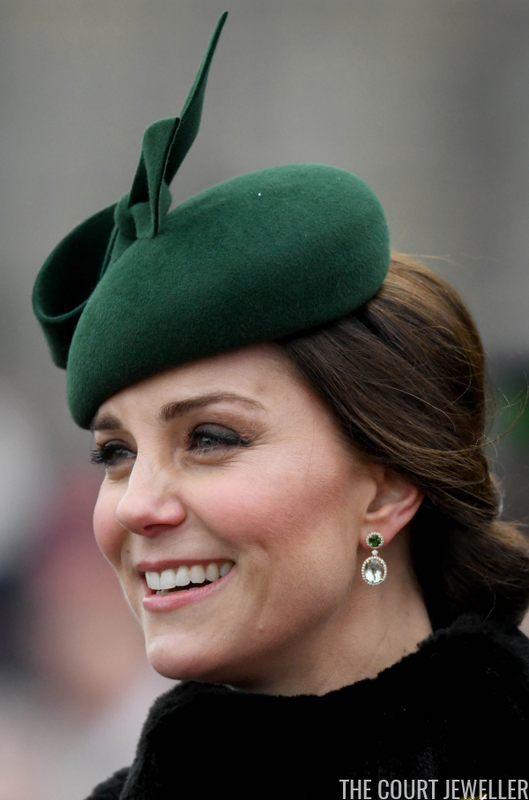 Kate's primary jewels for the day were a pair of green earrings from Kiki McDonough and the brooch worn annually for this appearance, the Irish Guards Brooch. 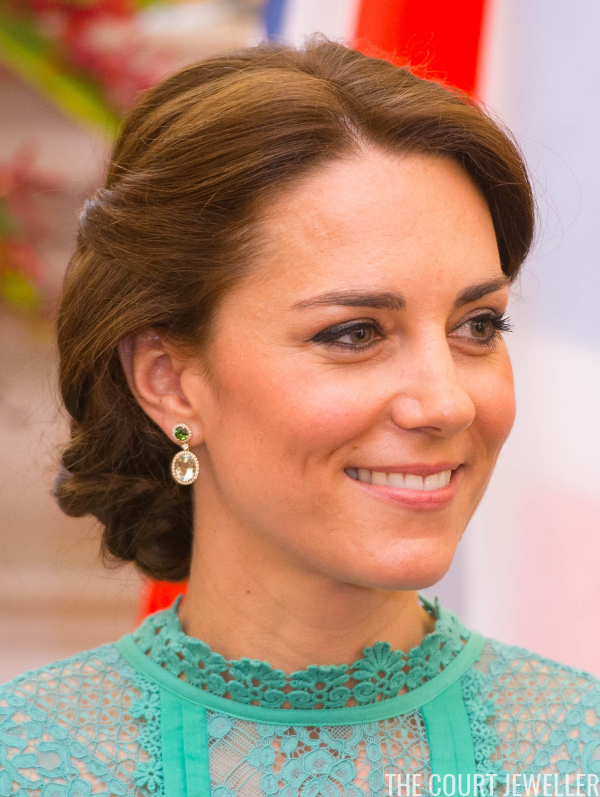 Kate debuted the earrings in India in 2016 (see the photo above), and she also recently wore them in Sweden. See a close-up from the first appearance here, and our relevant post from the Swedish visit over here. 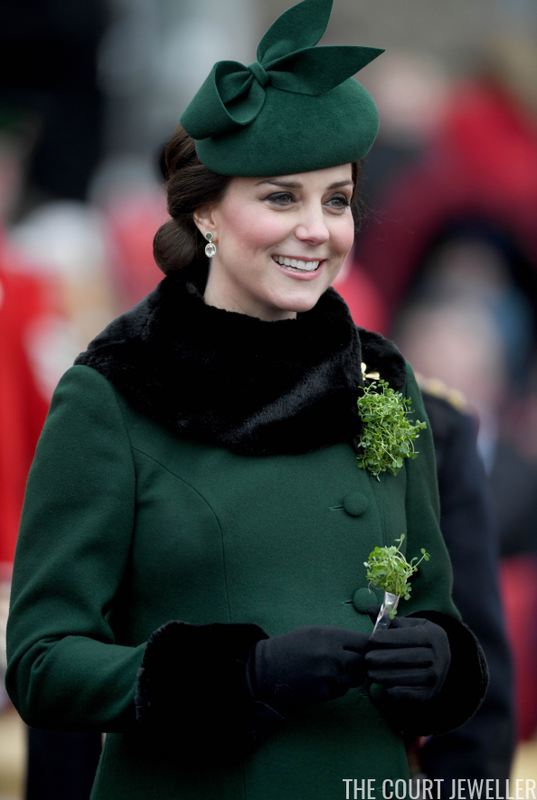 Kate also wore the golden shamrock brooch that belongs to the Irish Guards. I recently wrote a post about the brooch, which you can read here. 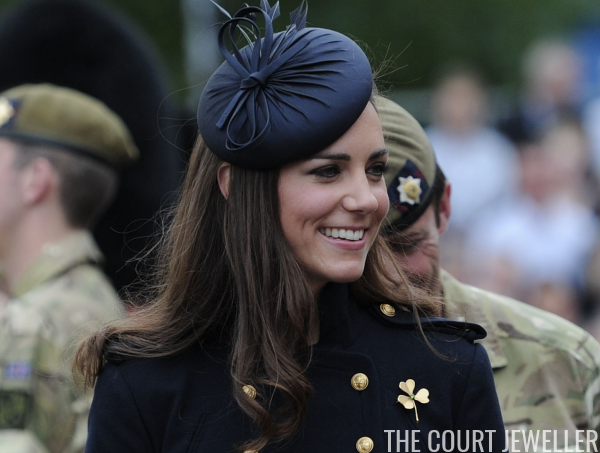 Kate has been wearing the brooch since shortly after her wedding in 2011 (see above). 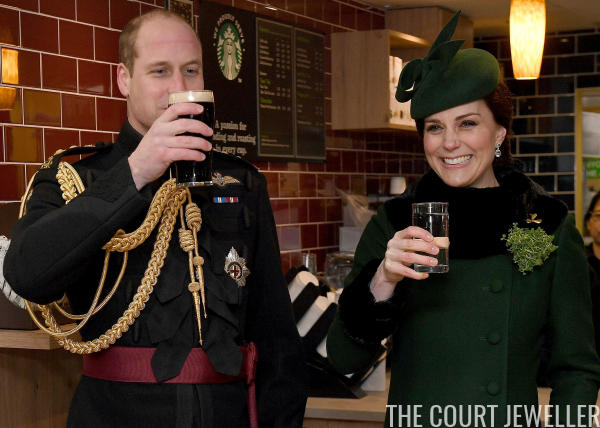 Here's a look at Kate's entire ensemble from this year's St. Patrick's Day visit. 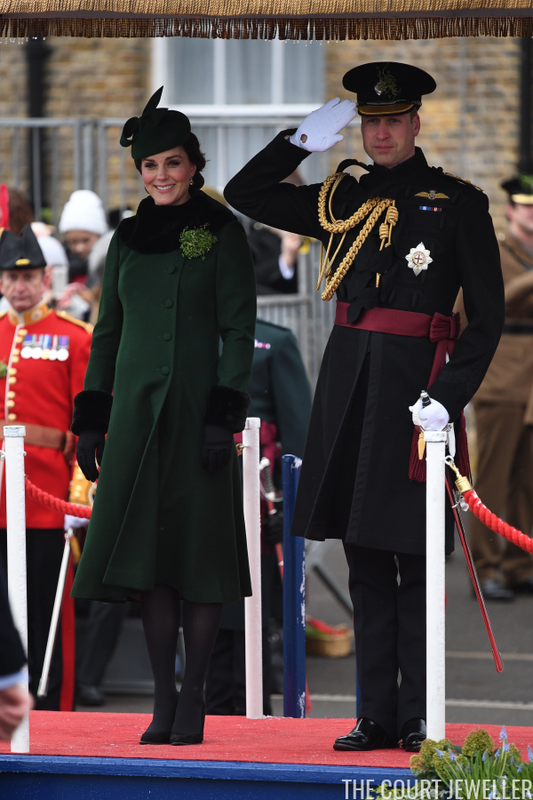 Kate also wore this coat during the recent trip to Stockholm.